Summer is nearly here and the weather out here in California has been heating right up. 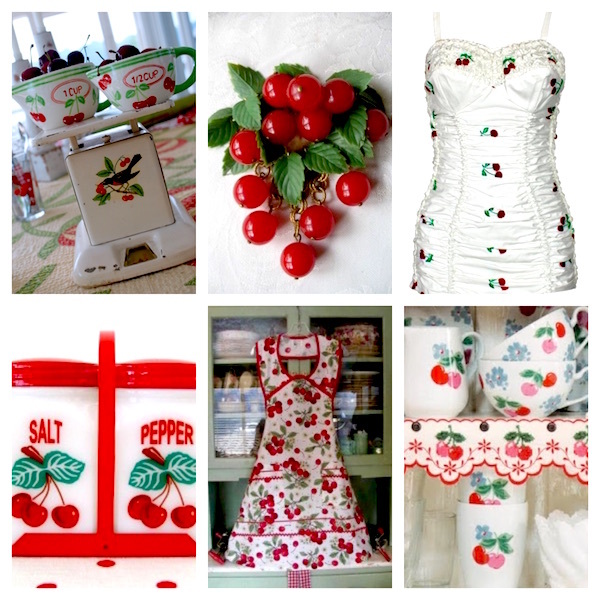 I just love the sweet red cherry collectibles from the 1940s-1950s; everything from vintage kitchen salt and pepper shakers, mixing bowls, shelf paper and trim to the vintage cherry tablecloths and of course vintage cherry Bakelite brooches and the bathing suites from that era. I am definitely looking for vintage cherry collectibles! !